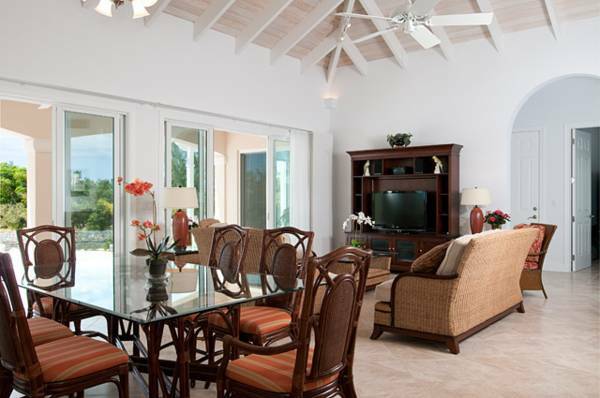 This stunning villa with 360 degree views over the neighboring Leeward waterway, sits just 5 minutes away from the ocean front. 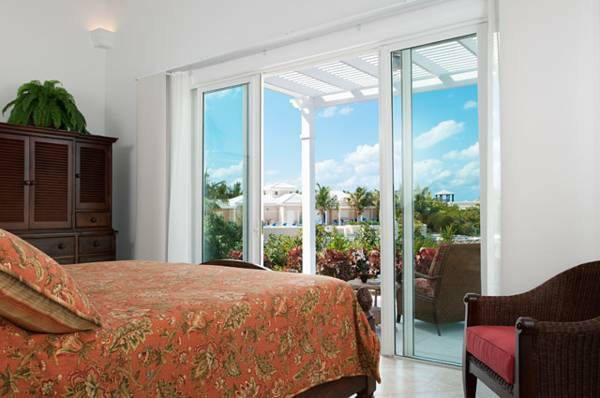 Villa Vivace offers comfortable accommodation for up to 6 adults. This contemporary, gated single-story property was designed by the award winning architect, John Redmond Associates. 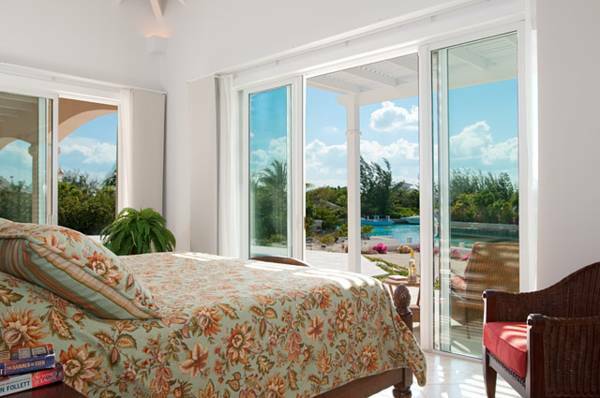 Set within 0.85 acres of tranquil grounds and with a 42 feet boat dock, the villa features a large 30 x 15 feet outdoor swimming pool with a large private deck, which is ideal for sun-worshippers, whilst there is a covered terrace for when you’re looking for a quiet selected spot out of the sun. Undoubtedly, one of the stand-out features of the property is its exquisite interior design which was personally overseen by the owner and interior designer. All of the furnishings were hand-chosen to complement one another and blend beautifully to create a comfortable and stylish home. 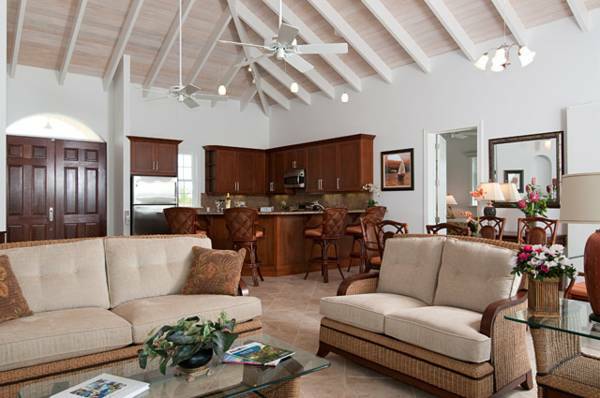 Villa Vivace is a gated residence situated in a very safe and friendly residential area. 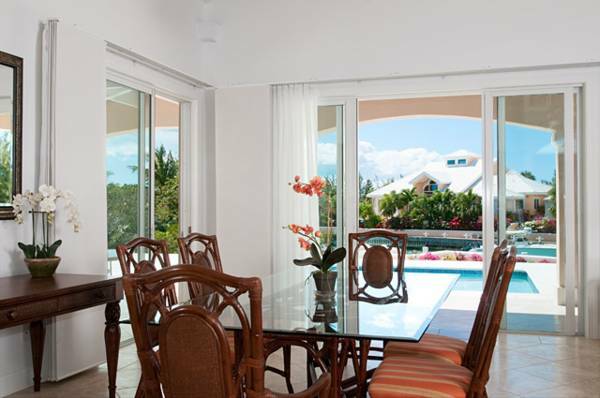 The property is also equipped with a monitored security system for added peace of mind. 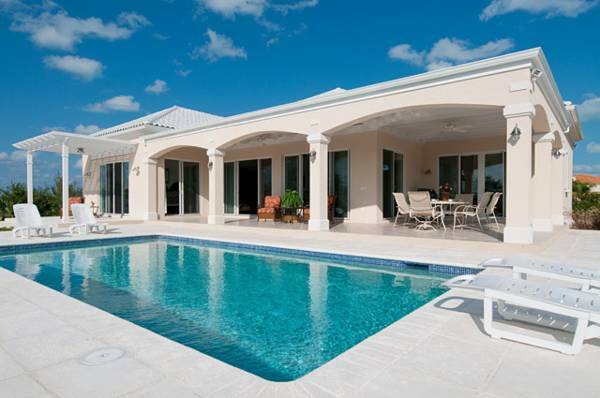 The stunning 30 x 15 feet outdoor pool is the focal point of the villa's fabulous grounds. 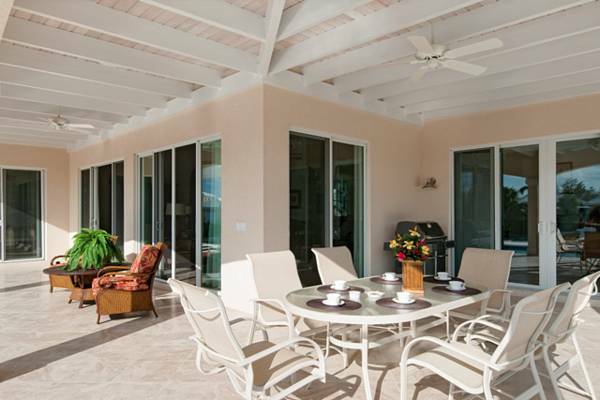 There is a gas Weber BBQ and grill with gas burners, perfect for family entertaining and the beautiful terraces are ideal for a sundowner or two! 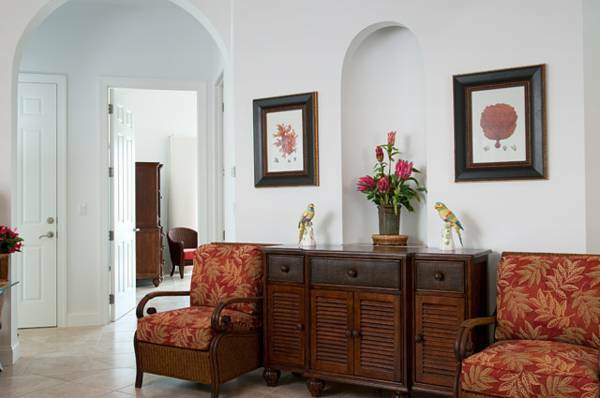 Natural vegetation, bougainvilleas and tropical plants feature throughout the villa's extensive grounds. 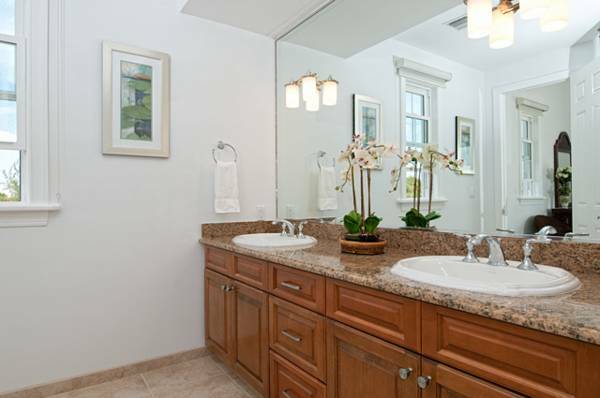 Villa Vivace was very clean, and we would recommend staying here to many of our family and friends! We were met at the airport by staff since it was our first time in TCI. We followed him with our rental car, and he thoroughly showed us everything about the villa and the surrounding area. Pelican Beach was just a 5 minute drive and it was a wonderful hidden beach. 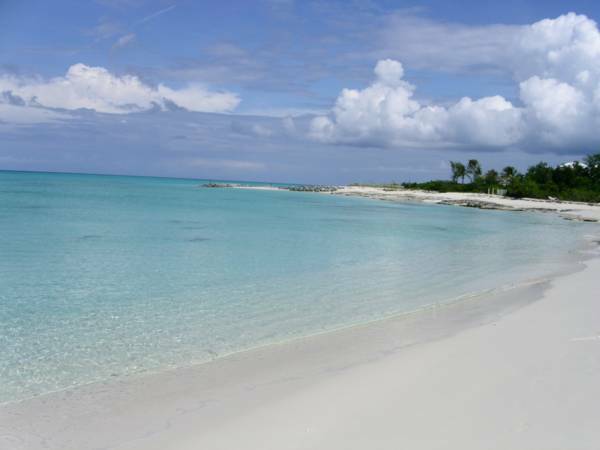 We also spent a lot of time at the beautiful Grace Bay Beach (it was an 8-10 minute drive). Parking at either beach was very accessible. Our family was able to snorkel, parasail, rent jet skis, and enjoy lots of beach time. Turk Berry and Lemon 2 Go were our two favorite coffee/donut/froyo shops. Hemingway’s on the Beach was delicious every time! Graceway Gourmet was our favorite grocery store. Villa Vivace had a very good location to everything and the security was a blessing. We hope to come back again! 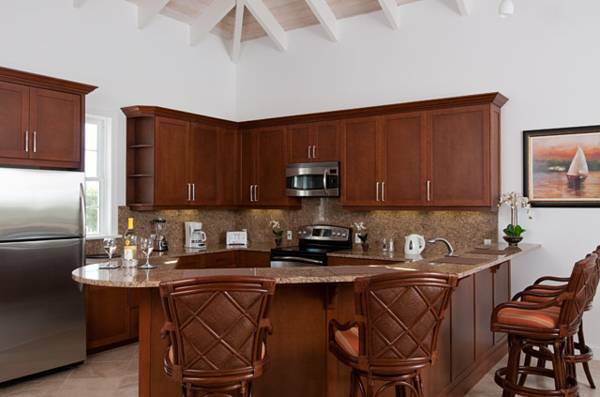 We recently returned from our 9 night stay at Villa Vivace and could not have been more pleased with this beautiful home. Every aspect of the house from the decor to the location was great. Our party of 6 (4 adults and 2 children) had the perfect amount of space. The pool was much larger than it seems in pictures. I thought the beds were very comfortable and the house was spotless. It was also nice to have some essentials provided (laundry detergent, toilet paper, zip lock bags, etc). We only used the AC at night in the bedrooms to save $. It does get VERY hot in the house but we spent most of our time outside anyway. Close drive to many beautiful beaches and town. Owners and management team were excellent - thank you!